Collagen Supplements: Are They Worth the Hype? Are Collagen Supplements Worth the Hype? When you walk into any pharmacy or beauty supply, you’ll find dozens of anti-aging beauty products promising to rid your face of fine lines and wrinkles and reduce the appearance of saggy skin. Many of these products boast ingredients like collagen and hyaluronic acid, but contrary to popular belief, your skin doesn’t absorb collagen topically. How Effective Are Collagen Supplements, Anyway? Collagen, and its building blocks, should be consumed through a protein-rich diet. There are a number of collagen supplements on the market to help you get an adequate supply, but they range from $30-$50 dollars. We’ll help you understand the truth about these supplements before you drop the cash. Collagen supplements, especially in the form of quick-dissolving powders that can be added to both hot and cold drinks, have taken the holistic health community by storm, with seemingly every celebrity doctor releasing one of their own. This easy-to-digest form of collagen is either called hydrolyzed collagen or collagen hydrolysate. At first glance, a collagen supplement seems like the perfect solution if you’re looking to add more collagen to your diet. But there’s one problem: The jury is still out on whether or not supplemental collagen is as effective as consuming it in whole foods. We’ve done a little digging to help you decide if collagen supplements are right for you. As you age, your body produces less natural collagen, which can lead to joint pain, cellulite, saggy skin, fine lines and wrinkles. You also heal from injury more slowly with age, due in part, to lower collagen levels. (2) By including foods in your diet that jump-start collagen production, especially as you age, you can improve skin elasticity, optimize healing time in your body, and enjoy improved overall health. While the human digestive process breaks down dietary collagen into its more simple constituents (the four amino acids we mentioned earlier), dietary collagen in the form of protein-rich foods can help increase your body’s collagen levels. 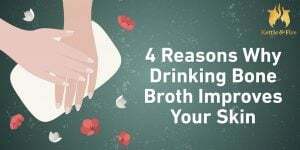 These foods include eggs, dairy, fish, meat and bone broth. While it requires a more diverse list of foods to get adequate amino acids from fruits and vegetables, it’s certainly possible. But the question remains: Will collagen supplements work as well as these whole foods to provide you with the protective collagen you’re looking for? Let’s consider the facts. Research on Collagen Supplements: Are They For You? The truth is that the research on collagen supplements is thin. This is not to say that there’s no research supporting the claims that collagen supplements aid in relieving joint pain and improving skin elasticity and suppleness. However, the studies that do support these claims are small or short-term. They do show promising results, however, which should motivate researchers to continue digging. In every study we reviewed, regardless of the source of collagen, there were no adverse side effects to collagen supplementation. While the jury is still out on whether collagen supplements are completely effective, the research seems to be pointing in a positive direction. And with no reported negative side effects, it might not hurt to give a supplement a try. The general options are either collagen powders or pills. 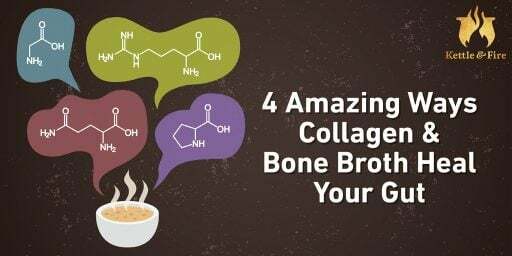 Most collagen powders are completely flavorless, so you can easily add them to coffee, smoothies, or anything else you might sip throughout the day. The serving size is generally two tablespoons and adds between 18 and 20 grams of protein to your drink or soup of choice. Because collagen products are made from animal parts, which can sometimes be contaminated by improper farming and ranching practices, it’s important to select a high-quality product. Supplements are not evaluated by the FDA, so search for collagen powders made from organic and pasture-raised animals that have been vetted by a neutral third party like the National Sanitation Foundation. This ensures the safety and quality of the supplement you choose. Like other dietary supplements, collagen supplements are not a magic bullet. If you decide to try one, remember that the word supplement is meant to do just that — add on to a healthy diet and lifestyle. Be sure to include nutrient-dense foods in your healthy diet plan to ensure that you’re doing everything you can to thrive.